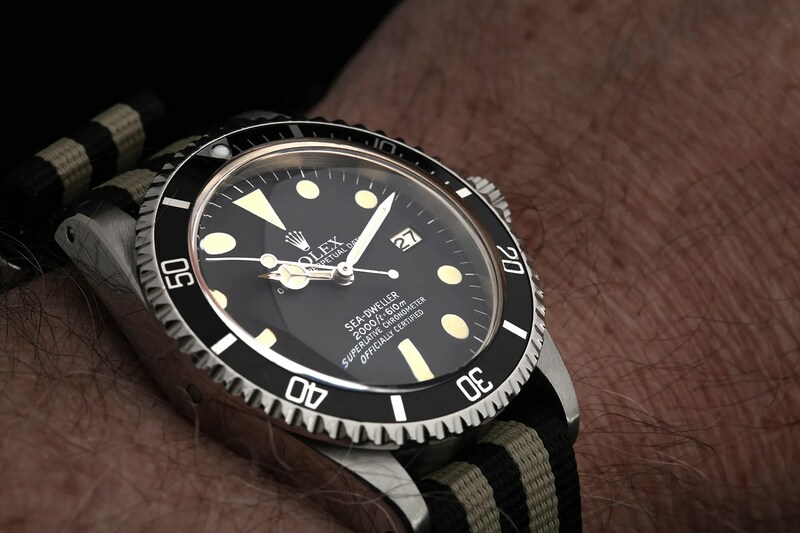 Well, I’m certainly happy this morning – after all the chopping and changing of late, the ins and outs have come to an end for now with a watch arrival that resolves one of my more painful regrets over the last couple of years. 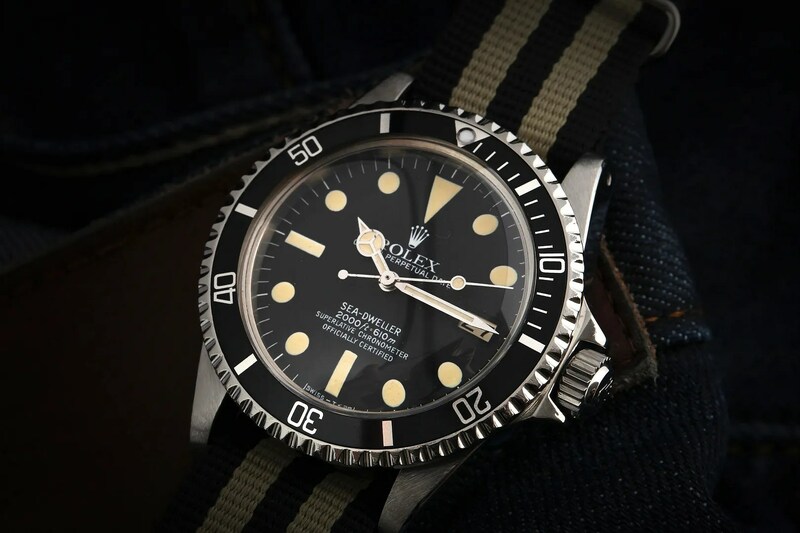 The “Great White” Sea Dweller was released in 1977, and achieved it’s monicker as a consequence of Rolex’s decision to do away with the red font on the DRSD and replace it with… well, white. 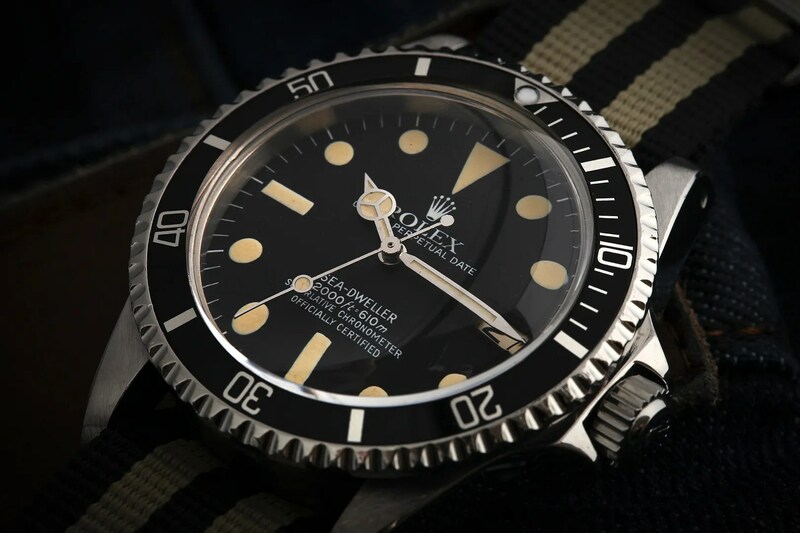 Also gone was the reference to the Submariner on the dial and the engraving on the case back was changed slightly. However, to my knowledge the same case was used and of course they came with the wonderful Tropic 39 Superdome crystal. 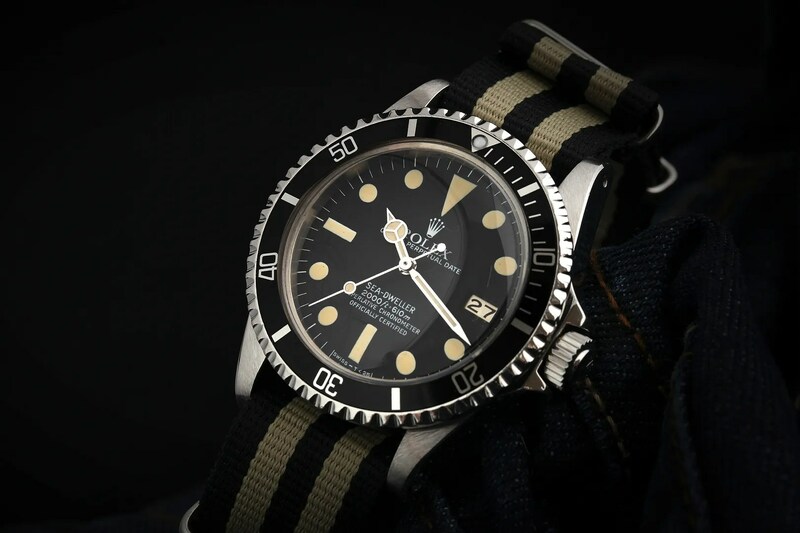 This one dates to 1980, and has a NOS crystal to set off the flawless dial (a Mark II, identifiable from the italic “ft” and “m” and the closed 6). 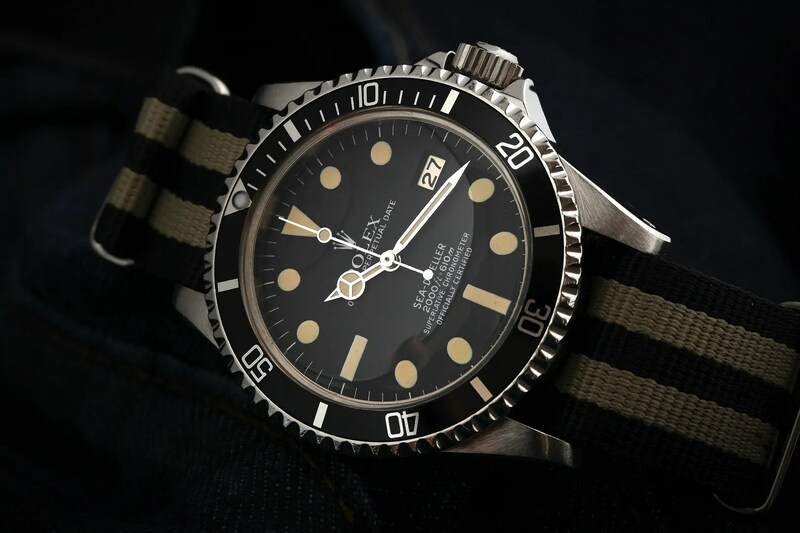 The case is in great shape with fat lugs and sharp bevels, and the only think it could do with is an insert change as it’s wearing a service replacement. 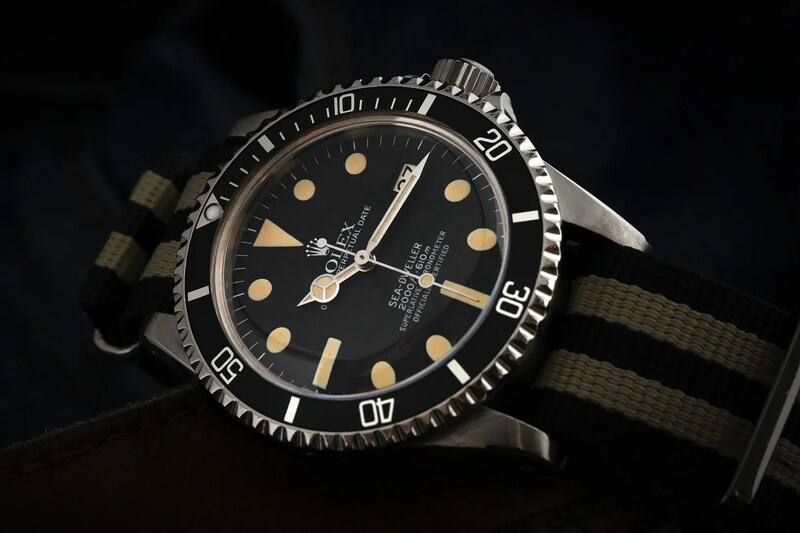 In fact, I’ve already bought a ghost insert for it, which should give the watch a pretty unique appearance. I’m absolutely thrilled with this – my last Great White was a beauty but I actually think this one is even nicer. 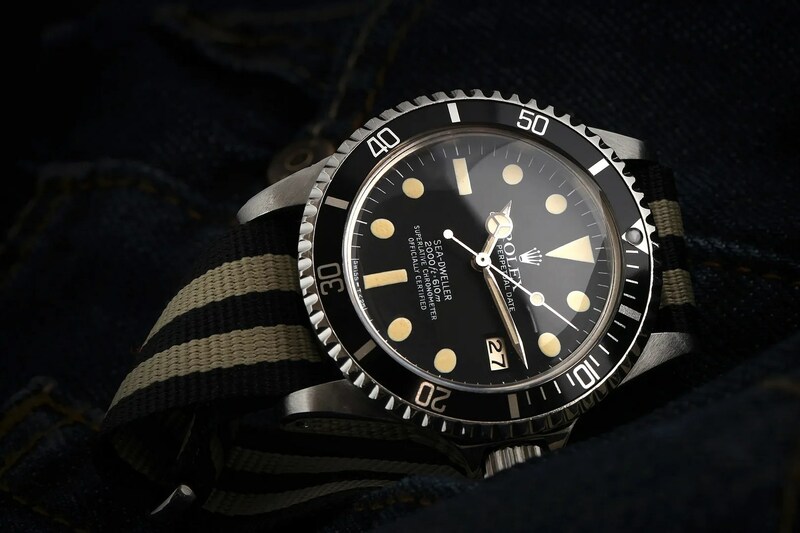 It’s pretty obvious that I’ve moved away from vintage Rolex sports watches for now, but to my mind the 1665 is the greatest watch that Rolex have ever produced and the opportunity to acquire another was irresistible.